Varicose veins are a very common problem typically characterized by large veins near the skin's surface, most frequently found in the calves and thighs. They usually occur when the walls of veins start to weaken or valves that regulate blood flow start to function poorly. According to the U.S. Department of Health and Human Services, varicose veins affect approximately 25 % of women and 10 % of men. That's right ladies, it affects men too! Varicose veins can be painful, cause fatigue, restlessness, but also feelings of burning, throbbing, tingling, or heaviness in the legs. The appearance of bulging veins is also a major concern for many people. So much so that sometimes varicose veins are called spider veins. This is due to the spider web like pattern they make when they appear on the surface of your skin. Common causes of varicose veins are heredity (i.e. runs in the family), working environments where a lot of standing is required (for example, waiters and waitresses), obesity (could restrict blood flow), birth control pills, constipation and hormonal changes in the body during pregnancy, puberty, and menopause. Standard treatments for varicose veins, both medical and surgical, can be quite expensive and sometimes ineffective. Fortunately, there are a wide range of effective home remedies that can decrease the severity of varicose veins and also relieve the discomfort that they cause. Here are 9 all-natural home remedies for varicose veins you may not have heard of. Apple cider vinegar is a very effective treatment for varicose veins! It is a natural body cleansing product and also improves blood flow and circulation. Remember that varicose veins can be due to weakened vein walls or poorly performing valves so when the blood starts flowing naturally, the heaviness and swelling of varicose veins will decrease to a great extent. Take a bit of undiluted apple cider vinegar and rub it into the skin over the varicose veins. Gently massage the area with apple cider vinegar, every day before going to bed and again the next morning. You will see significantly reduced varicose veins in a few months. It is vital to the treatment of varicose veins that you increase blood circulation. In order to do that, one method is to massage olive oil onto the affected skin surface area. This will increase blood circulation and reduce the symptoms such as pain and inflammation. You can make as much or as little as you want but do mix equal amounts of olive oil and vitamin E oil. It's best to warm it a little for your comfort and also effectiveness. Massage the veins with the oil for a few minutes, applying more if necessary. Do this two times a day for at least one month (best results if you use it for 2 months) and you'll see a marked change in your varicose veins. The no.1 miracle treatment for varicose veins is cayenne pepper but although it's number 3 on our list here, it doesn't mean it's any less effective. Beacuse cayenne pepper can be a little spicy for some, the following recipe may be uncomfortable for some. 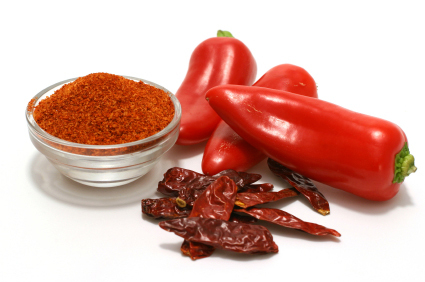 Remember to wash your hands thoroughly afterwards and do not rub your eyes or face area immediately after handling cayenne pepper in any form. Cayenne pepper is high in vitamin C and bioflavonoids, which increases blood circulation and eases the pain of congested, swollen veins. Step 1) Add one teaspoon of cayenne pepper powder to a cup of hot water and stir it well. You can also use fresh cayenne pepper and mash it into a paste with a mortar and pestle. Then add to water. Step 2) Drink this mixture three times a day for one or two months. 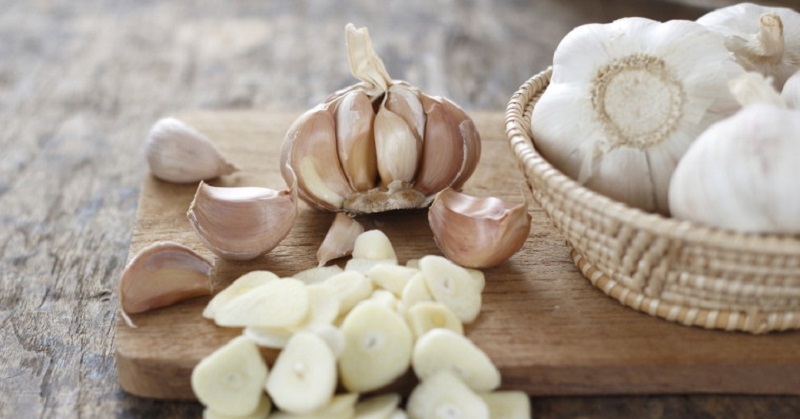 Garlic is perfect for reducing inflammation and the symptoms of varicose veins. It can also break down the harmful toxins in blood vessels all the while improving blood circulation. Step 1) Take 6 garlic cloves and slice them up. Put them in a glass jar. Step 2) Squeeze the juice of 3 oranges and add it to the jar. Then add two tablespoons of olive oil. Step 3) You'll need to let the mixture sit for about 12 - 14 hours. Overnight in the fridge will do. Step 4) Vigorosly shake the jar to combine everything. Take a few drops of the solution on your fingers and massage the inflamed veins. Gently massage in a circulation motion for 15 minutes. Step 5) You'll then need to wrap the varicose vein area with a cotton cloth and leave it on overnight. I suggest you do this before bedtime. Step 6) Repeat daily for several months. Butcher's broom is great for relieving the aches and discomfort of varicose veins. This herb contains a compound known as a ruscogenin (RUS) and helps to reduce inflammation while constricting the veins. Step 1) Take 100 mg of butcher's broom supplements three times a day. Created from the roots and seeds of the plant, butcher's broom supplements have vitamins B and C along with calcium, chromium, magnesium, manganese, potassium, selenium, silicon and zinc. Step 2) These nutrients will help tighten, strengthen and decrease inflammation in the veins as well as improve blood flow up the legs. Note: If you have high blood pressure or benign prostate hyperplasia you should not take Butcher's Broom without consulting with a doctor. Witch hazel is used for strengthening blood vessels and reducing some symptoms of varicose veins. Witch hazel is an astringent, but also contains gallic acid and essential oils that can help relieve the swelling and pain that often comes with varicose veins. Step 1) Soak a small towel in witch hazel and place it on the affected area. Leave on for at least 15 minutes. Do this two or three times a day for one or two months. Step 2) Alternatively, fill a tub with lukewarm water and add 10 to 20 drops of distilled witch hazel. Soak your legs in the solution for at least 15 minutes. Then wash your legs with clean water and pat them dry. Step 3) Follow this remedy once daily for one or two months. 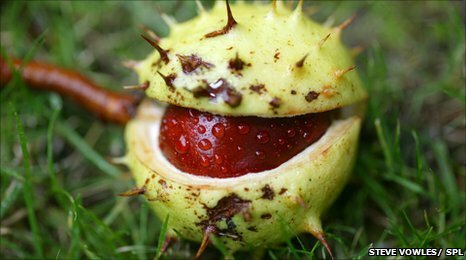 Horse chestnut seeds have been used for centuries in the treatment of varicose veins. Not only is it natural, it's also got a long long history. Horse chestnut seeds have an anti-inflammatory and anti-swelling effect that can successfully increase 'venous tone', as well as reduce the appearance of varicose veins. Horse chestnut seed extract has a compound called aescin that improves the elastic strength of veins and prevents the release of enzymes that damage capillary walls. Horse chestnut seed gel is available in most markets as it's used quite frequently to treat varicose veins. Use the gel topically on the affected area twice daily. When used regularly, it can significantly reduce leg pain and swelling. Note: Pregnant or nursing women should not use horse chestnut seeds. Who would have thought that the the common household herb garden would contain a cure for varicose veins! Parsley is rich in vitamin C and because of that it's also a powerful antioxidant and encourages the production of collagen. As it encourages collagen production, it can aid cell repair and reproduction. Parsley contains rutin, which can be the active ingredient in strengthening the capillaries and therefore is useful in reducing symptoms of varicose veins. Step 1) Chop up a bunch of fresh parsley. No more than a handful. Then boil in one cup of water for 5 minutes. Step 2) Remove from the heat, and let it cool down. You want it warm, not cold. Then strain to remove the parsley. Step 3) Add one drop each of rose and marigold essential oils and mix. Step 4) Put the solution in the refrigerator for several minutes to further cool it. Step 5) Using a cotton ball, apply the solution to the affected area. Step 6) Do this daily for several months to see positive results. 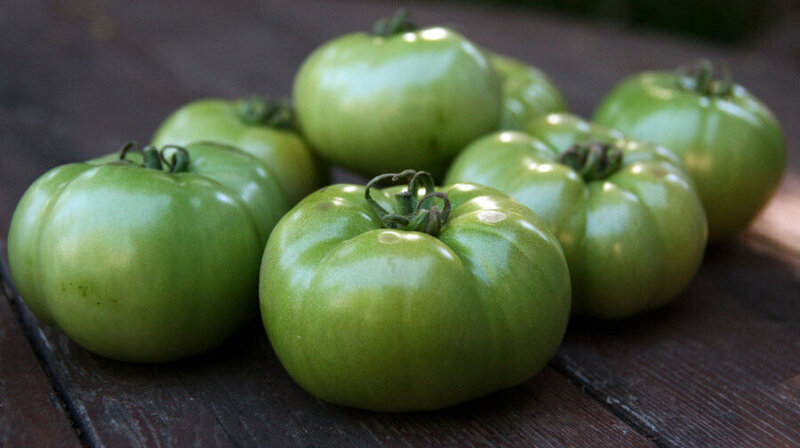 Tomatoes have properties similar to aspirin and can be an anticoagulant. When used correctly it can dilute the blood and increase blood circulation. The flavanoids in tomatoes can also strengthen blood vessel walls. After that, wash the affected area with cold water. Do this 5 times a day. After 2 weeks the 'venuous nodes' will start to fade and the swelling and pain will be greatly reduced. And finally, take good care of your legs by moisturizing daily and wear sunscreen when you're outdoors. It is vital to keep your skin well hydrated and protected!